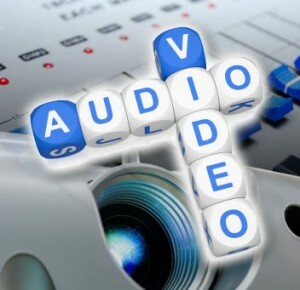 Pro Audio Service, INC. is a full-service audio/video company. We provide sound reinforcement, distributed sound, video and projection systems for a variety of commercial, governmental and religious applications, (Church or House of Worship), as well as home theater, media rooms and structured wiring for residential applications. We design, install, user train and maintain our systems, as well as non-PAS supplied equipments. In addition, we have been selected by three (3) major, nationwide audio suppliers to install audio systems for their clients throughout Florida. Springs, San Carlos Park, Cypress Lake, Iona, Villas, Estero). Pelican Bay, Naples Manor, Lely, Vineyards, Pine Ridge). Gardens, Palmetto, Longboat Key, Memphis, West Samoset, Holmes Beach, Cortez, West Bradenton). Carrollwood, Egypt Lake-Leto, Plant City, Lake Magdalene, Temple Terrace, Greater Northdale, Citrus Park, St.
Harbour Heights, Charlotte Park, Grove City, Manasota Key, Solana). Fruitland Park, Mount Plymouth, Mascotte). We man a 24 hour / 7 day service network in the unlikely event of a major system outage. We encourage prospective customers to consider and verify our unequaled references. We will be pleased to provide you contact information on any reference. Pro Audio Video Inc. is a State Certified Low Voltage Contractor (ES0000264) specializing in Consulting, Design, Sales and Installation of Audio, Video, Projection and related Technology systems for Churches, Auditoriums, Schools, Country Clubs, Community Centers, Fitness Centers, Auto Dealerships, Hospitality, Retail and Residential. Pro Audio Services brings vast experience in Audio and Video technology installation to the table for the successful implementation of technical AV solutions in complex new construction and renovation projects. We provide the highest quality equipment and timely installation, while meeting and exceeding our client’s expectations in regards to budget, aesthetics and performance. Our Mission is to provide exceptional AV and related technology solutions for professional, religious, educational, community and commercial facilities.